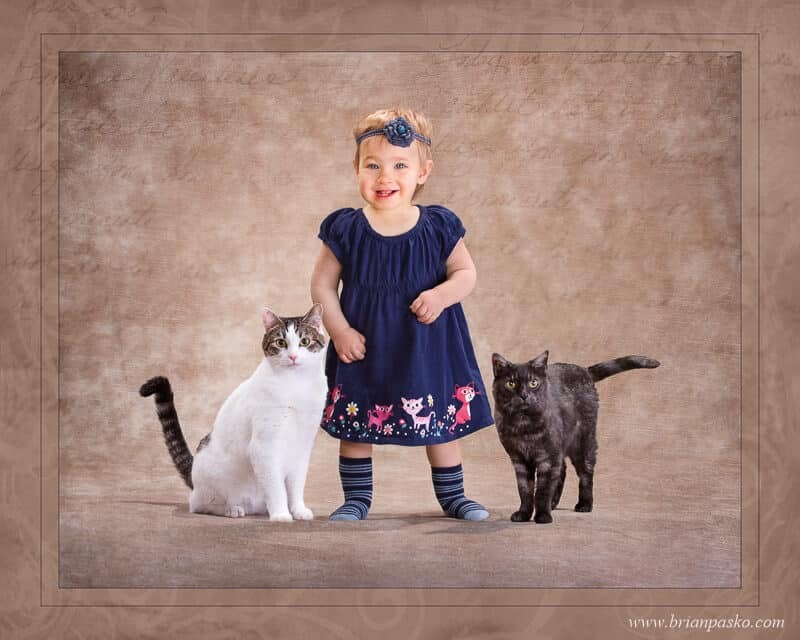 My 15 month-old daughter, Kiana, considers our two cats her best friends. Meeko, a white cat with brown spots, is a rambunctious one year old kitten and she gives Kiana a run for her money. Pigeon, our fourteen year-old black cat reluctantly puts up with the antics of the other two. As you can imagine, they were all incredibly-excited when Dad dragged them all down to the studio to capture this image!